THE Savannah Music Festival can always be counted on to bring at least one rare and beautiful world music gem to town each year, an artist or band of incredible skill and impact but generally very difficult to see outside their home country. Chouk Bwa Libete without question fits that bill this year, and then some. Flown in from Haiti especially for this one show, the band delivered an intensely rhythmic and deeply soulful performance which shook the rafters at the Morris Center in a manner I've not seen since the venue was restored and made available to live music. While often called a "Haitian roots band" in the Western music press, this is a bit of an oversimplification. Haitian music runs a gamut from more obviously French/Creole influence to the much more solidly African sound of traditional Vodou or "Voodoo" music. Chouk Bwa Libete falls in the latter category entirely. I and my fellow drummers in the audience were excited to see a vast array of handcrafted Afro-Caribbean percussion set up onstage awaiting Chouk Bwa Libete's extended set. We weren't disappointed. The show was, simply stated, every drummer's paradise; any of us could have died during the show and considered it a fitting end to a life well lived! Indeed, the only instrumentation used by the band at all is percussion, vocals, and a Haitian version of the didgeridoo, which lent a fascinating subwoofer effect. For an extra dose of awesome, the didge also serves as a percussion instrument, the player sometimes hitting it with his own sticks for added rhythm. While band members rotate percussion, the core set-up is four drummers and a male lead vocalist, almost always Jean Claude "Sambaton" Dorvil, the group's chief composer. Flanking Sambaton are Edèle and Maloune, who take up most of the call-and-response and improvise dancing during the songs, often using pantomime to detail the lyrics. These women might be mistaken for "backup singers" by Westerners, but they are anything but. 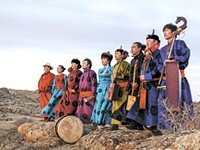 As in the African tradition, they actually provide the bulk of the vocals, the male lead vocalist almost more of a chant leader in this context. While Chouk Bwa Libete certainly uses a setlist like any other band, these aren't songs in the Western tradition, i.e., verse/verse/chorus/verse/chorus/chorus, etc. Their songs are much more African/Afro-Cuban in structure, building on the complex, interweaving polyphonies of the drums and percussion and incorporating call-and-response vocals. The song is "finished" when the band is done playing it, but any tune could easily go on indefinitely. Also as with African/Afro-Cuban music, the actual base rhythm isn't by one of the large drums, but by a more treble percussion instrument. In other Caribbean music that role is filled by the clave, or wood block; in Haitian music it is an iron bar called a fer, also hit with a stick. This frees up the larger drums to play more subtle, complex rhythms and interlocking improvisations. In the hands of these master drummers the rhythms are like lyrics themselves. It's safe to say much of the audience at the Morris Center was deeply impacted by the cultural immersion. Happily, only a very few left early for whatever reason, and almost all the sold-out crowd remained for the extra-long set, which Savannah Music Festival Director Rob Gibson had subtly alerted the audience might happen if the band desired to make it so. While on paper it seemed odd for the actual celebrity of the night, former Carolina Chocolate Drops member and Grammy winner Leyla McCalla to open instead of headline, I think McCalla herself would agree there is no way to "follow" a show as intense and charismatic as Chouk Bwa Libete's. A delightful and calming stage presence, McCalla's set focused on some Haitian folk music gems played mostly on Western instrumentation. McCalla herself played a cello, a guitar, and banjo at various points, all expertly. These sweetly-sung, plaintive songs were interspersed with frequent musicological interludes by McCalla, explaining not only the songs and lyrics (sung in Haitian Creole/French) but how she discovered the songs and their meaning to her. 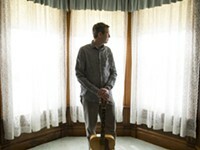 McCalla, violist Free Feral, and guitar/banjo player/husband Daniel Tremblay were joined several times by McCalla's former Carolina Chocolate Drops colleague Don Flemons. The softy teasing, almost sibling relationship between the two was warm and inviting. Their collective brilliance was evident right off the bat, with the group launching into 'Movement and Location,' a masterpiece of sorts that Thile revealed was written about baseball player/former Atlanta Brave Greg Maddux. 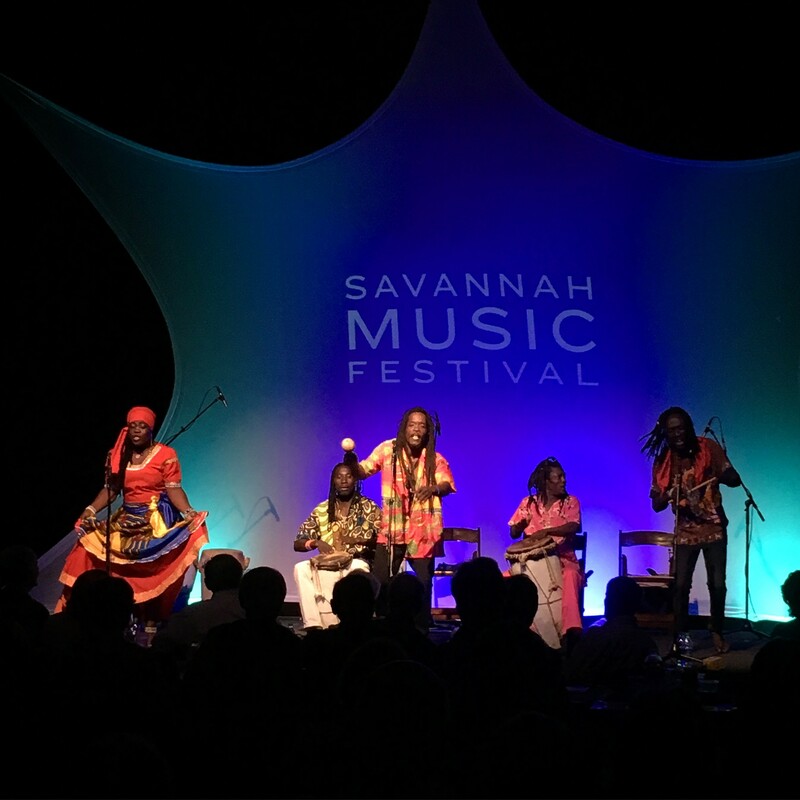 One of the great services the Savannah Music Festival provides every year is bringing in a variety of world music to town -- particularly African music -- that Savannah wouldn't ordinarily get a chance to experience.